Barramundi is a large Australian fish found in freshwater rivers and in the ocean. 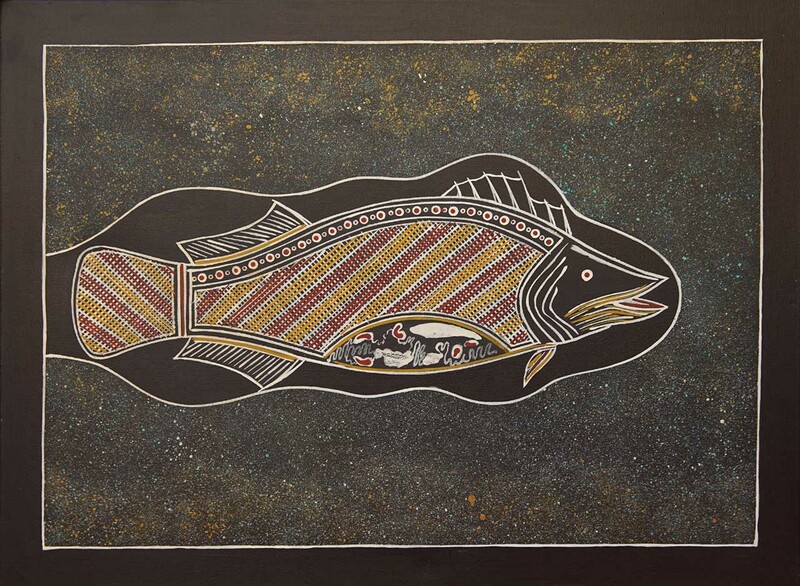 The freshwater fish is the variety most represented in Aboriginal artworks. Barramundi is found in the northern rivers in the Kimberley, Northern Territory and Queensland. In these areas it features in rock art sites where ancient paintings have survived for thousands of years. 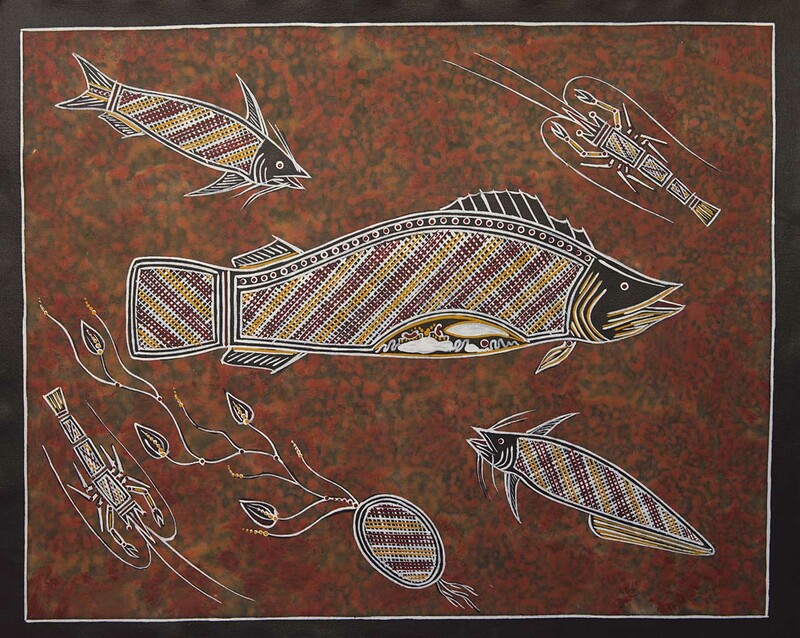 Barramundi images that look just like the ones from ancient times are still being painted by Aboriginal artists today. Often the images show the insides of the Barramundi, which has come to be called x-ray style of art. Often Arnhemland artworks of Barramundi also refer to the range of plants and animals found in the abundant freshwater swamps and include catfish, freshwater prawns and water lilies that are collected for their bulbs. In the Kimberley in the north of Western Australia, the Dreamtime story tells of the Barramundi Daiwul leaping from the water to escape the women who were trying to trap it in the river. As it scraped past the hill its scales were released and they became the diamonds that are found in this part of the Kimberley. This Narrangarni or Dreamtime story celebrates both the Barramundi and the features of the landscape where this Creation story took place.